IMPORTANT: It has come to our attention that some customers are purchasing individual sheets and simply putting them through their normal printer using normal printer ink to save costs. We cant stress enough how utterly stupid it is do this. Normal ink contains LEAD. Humans are not supposed to consume LEAD. Think about your customers before doing this and the legal ramifications YOU are putting yourself at risk of. SOLD SINGULARLY - TRY THEM OUT! 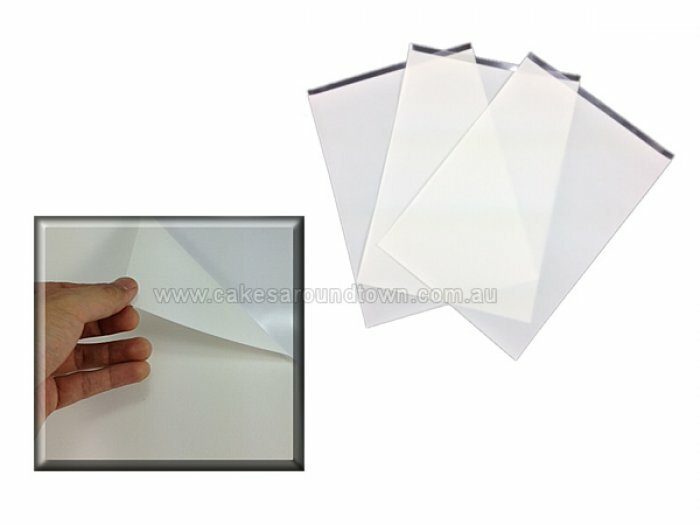 Print-Ons Sheets- Rectangle Sheets sold separately for individual use. Use with our FooDoodler or just try out our great quality edible PREMIUM paper! Pack/Size:1 A4 sheet (1 sheet) FDA and Kosher approved. These brand of papers come on a clear background and are easier to remove off their backing sheet than other brands. Icing Sheets are an actual layer of icing that bonds with the icing on the cake, and come in a variety of sizes and shapes. Our Icing Sheets are made of sugar, taste great, and will last up to a year on the shelf when properly sealed. Refrigeration is not required.